DHANUSHA, Oct 22: A train with 53 bogies carrying blast has arrived in Janakpur for the second time on Friday. The train came from Pakhaur, Jharkhand of India carrying the blast. Blast is the pebbles used in the railway track. 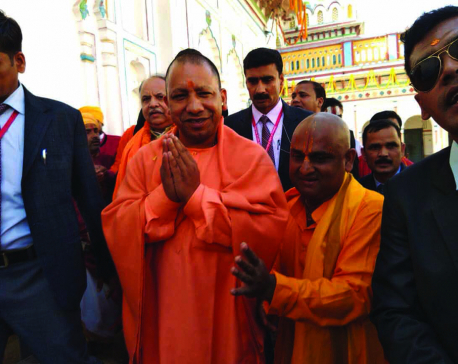 Railway and Metro Development Project Site Office Janakpur’s chief engineer Binod Kumar Ojha said the second consignment of the ready-to-use blast was brought from Jharkhand by the goods train. 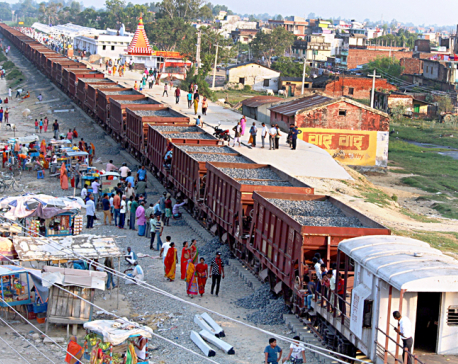 The train used the under construction railway to Janakpur at a speed of 10 kilometres per hour. The construction of three halts and five stations of the railway is in the final stage. 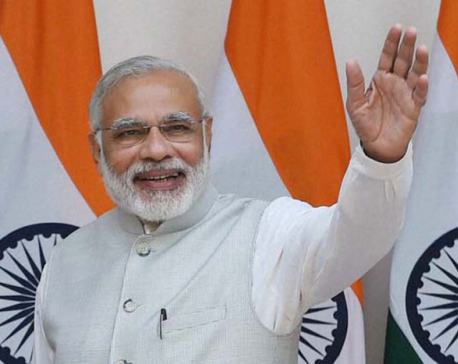 The broad-gauge railway is being constructed with the support of the Government of India up to Kurtha of Dhanusha district. 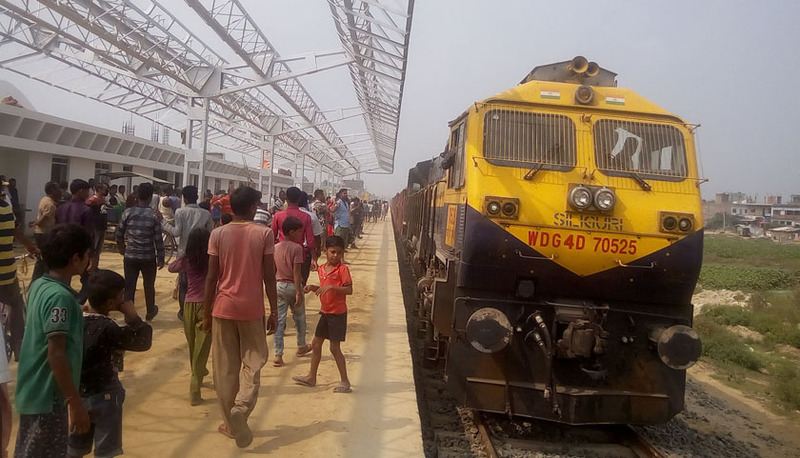 Railway engineers have said preparations have been started for the ‘final touch’ for operating passenger train on the Jayanagar-Janakpur sector of the railway. Works are in progress for operating train service on the 69-kilometre Jayanagar (India)-Bardibas railway.